This is a write-up of the QRChecker problem from the SECCON 2018 online CTF. The problem consisted of two web pages, one containing the code of a Python program and the other allowing you to upload a file. we see that if we manage to get the length of codes to be greater than one it should print the flag. Analyzing the code we see that it reads the uploaded file as an image. 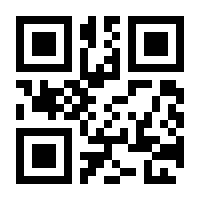 It resizes the image to a set size and tries to read it as a QR code and puts the result in codes. After that it resizes it again and reads it as a QR code putting the results in codes again and it does this for the sizes (500, 500), (250, 250), (100, 100) and (50, 50). In other words, we need to provide a single image that produces at least two valid QR codes with different results under the resizing sequence 500→250→100→50. So we want to create a QR code that contains different messages depending on the size. From the documentation for PILs resize we read that the default resize algorithm is to use PIL.Image.NEAREST and from another part of the documentation we can read what this means. So each pixel in the 50x50 image should depend on precisely one pixel in the original 500x500 image! We can therefore specify the 50x50 image precisely by changing only these pixels, and since this is only 1% (50⋅50 / 500⋅500 = 1 / 100) of the original image, the QR reader should still be able to read the full image. The next step is to figure out which of the pixels of the 500x500 image remain after the resizing operations. To do this we create a 500x500 image were the pixels have different values, we resize it to 50x50 and see which values are left. # Helper functions for converting between Image and np.ndarray. # Generate a 500x500 image using a simple increasing sequence. We see that the top pixel in the resized image is determined by the pixel at position (7, 7) in the original image. Similarly the pixel at position (i, j) in the resized image will be given by the pixel (10i + 7, 10j + 7) in the original. 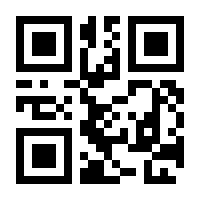 Given the two QR codes qr1.png and qr2.png we can merge them together and create the new QR code, qr.png. Read more than one value! Submitting the resulting image gives us the flag. The merged QR codes, animated.